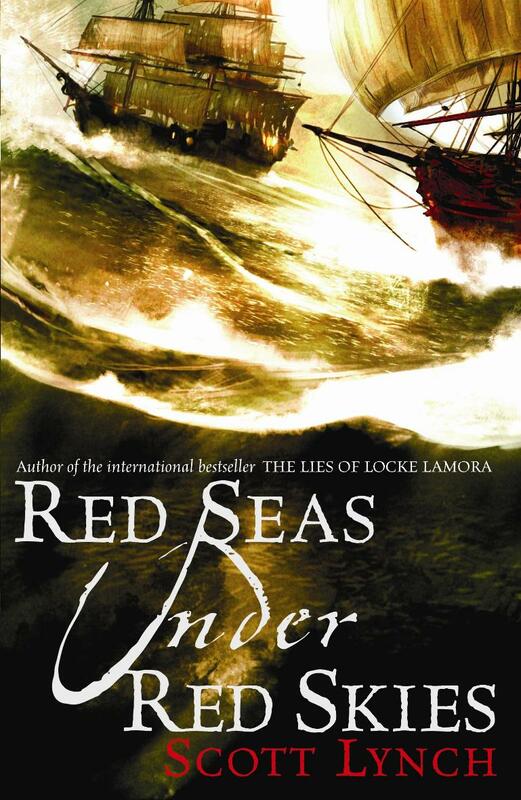 After I had finished reading The Lies Of Locke Lamora I dove straight into Red Seas Under Red Skies. I couldn’t put off adventuring with Locke and Jean despite other books to read and games to play. Scott Lynch seems to continue his rhythm from the first book, despite the story picking up two years after the conclusion of Lies. The city of Camorr and the beginnings of the Gentlemen Bastards were explored in the first book. Red Seas Under Red Skies picks up in the city of Tal Verrar on the Sea of Brass, which was only mentioned in passing during the first book, and their capers in the city are already in full swing. The book follows a similar pattern to The Lies Of Locke Lamora, in which chapters alternate between present and the past. In this case the past chapters describe Locke and Jean’s arrival in Tal Verrar and pieces of their scheme. The two esteemed thieves are executing their most daring, and thought to be impossible, heist yet by targeting the Sinspire, Tal Verrar’s most illustrious gambling house. The comparisons to Ocean’s Eleven are prominent here seeing as there is much ado about the casino’s vault and the ruthlessness of Requin, the Sinspire’s owner. Despite being titled Red Seas Under Red Skies most of the beginning of the book doesn’t have much to do with ships. It isn’t until their plans end up disrupted and sent veering off course do they find themselves out on the open seas. Two inexperienced city thieves out on the sea ends up being quite the adventure, and only gets better once they really leap from the pan into the fire. Overall Red Seas Under Red Skies starts off slow, with many of it’s “past” sequences falling flat until their significance is played upon much later in the story. Plus the camaraderie from the first book isn’t there until Locke and Jean are on the Sea of Brass, where many of the supporting characters are found aboard the various pirate ships. One of Lynch’s strongest talents is in full swing here as his penchant for world building is present throughout. The setting isn’t just some backdrop thrown up so Locke and Jean can run (or sail, in this case) around during their adventures. Time and effort are expended in establishing a realistic feeling to a fantasy setting, with many details sprinkled throughout the narrative to tie it all together. It’s the sort of setting where I could read any story written by Lynch, even if it didn’t feature the titular Gentlemen Bastards, and would still enjoy it and it would feel comfortable and familiar. Places are mentioned in passing that become focal points much later. In The Lies of Locke Lamora, Tal Verrar is mentioned in during discussions involving sailing and trade routes. In this story it becomes one of the central locations of the story, and given the same treatment as Camorr in establishing its role in the history and dynamics of Scott Lynch’s world. While Camorr is much more detailed, Tal Verrar isn’t just given a name and few quirks. The Verrari are unique in their distinction, not being “Camorri” people thrown into a city called something else. The people and culture of Tal Verrar feel different when you read about them, something many author’s haven’t got a knack for. Lynch has built this world and loves telling his stories in it, and it shows throughout. Of course the story didn’t end the way I expected it to. I think that will be a pattern in the rest of the series but I don’t want it to become too common place. Otherwise Lynch may find himself subjected to similar views held during M. Night Shyamalan films. If you write a dramatic twist at the end of every story they begin to lose significance. It was brilliant in the Lies of Locke Lamora, and well done in the second. I am hoping it won’t continue in The Republic Of Thieves, which I am reading now, but if it does I can always hope he makes it a great one. I first heard about The Lies Of Locke Lamora from TV Tropes (more on that later) under the entry for Magnificent Bastards. From there I read the brief description and I was sold. Due to the mysterious nature of time a year went by before I even remembered to pick it up. Waiting even a year was a mistake, not to mention that I could have read this book seven years ago when it was first published in 2006. I have to borrow parts of TV Trope’s basic description of the plot since it was what piqued my interest in the first place: The Lies Of Locke Lamora is similar to Ocean’s Eleven/The Italian Job set in a fantasy variation of Venice, with a bit of The Godfather thrown in. If you’re a fan of the lovable rogues and their capers in those stories, then the gang of thieves and con men in The Lies Of Locke Lamora will appeal to you. Scott Lynch has created a fantastic variation of Venice called Camorr, a rich cesspool of villainy and despots ruled over (in some cases literally from massive magical crystal towers) by a noble class just as corrupt. The Capa of Camorr, Barsavi, serves as the king of the cut-throats and cut-purses, while Duke Nicovante rules the upper class. Between them is the Secret Peace: the city guards will often turn a blind eye toward organized crime as long the nobility of Camorr are off limits. The legend of the Thorn of Camorr, a mythical figured rumored to be a champion of the poor by robbing from the rich, flies in the face of this secret peace. Whether or not the Thorn exists, and what he is capable of, is subject to much debate, and as is par for the course, much exaggeration. Camorr is built on the ruins of ancient city created by a people known only as Eldren, leaving behind magical glass-like structures known as Elderglass. Not much is known about these Eldren other than the structures they left behind. Also, the city is so vast and well established that reading The Lies Of Locke Lamora without checking the map of Camorr can get confusing. What I love the most about The Lies Of Locke Lamora is that it doesn’t try to hide behind “PG-13” notions of what these men do. The humor can be crude, the characters cruder and their actions sometimes despicable. Lynch recognizes that thieves and con men are not innocent people, nor is the business conduct without significant risks. He recognizes that, addresses it head on, and you still love the Gentlemen Bastards all the same. Each chapter alternates between present day Locke Lamora and his childhood when he was being raised and trained by his mentor, Chains. This dichotomy often will take aspects of what Locke and his crew are doing in the present day and show how they learned to do it, or show lessons that would perhaps help them later on in the book. As the plot begins to pick up this format is abandoned in favor of moving full steam ahead with the plot line. This is a wise choice on Lynch’s part for there is no need to derail the plot with backstory once it has hit its stride. Also the final act flies in the face of every expectation I had going in. About a third of the way through the book I thought I had a pretty good grasp of the direction the story would go. I couldn’t have been more wrong, and I love that. 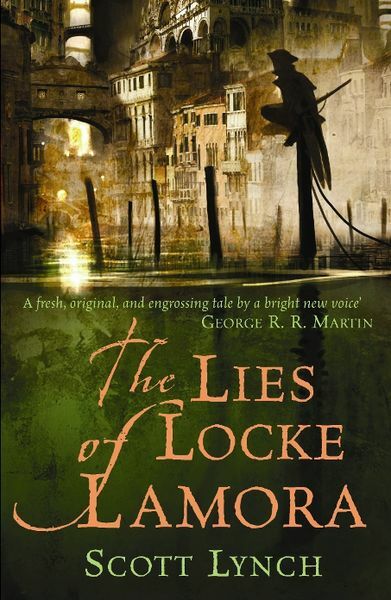 Between the charming cast of characters, a rich world with a deep backstory filled with unexplained mysteries, and an exciting and humorous plot The Lies Of Locke Lamora is a refreshing take on fantasy and storytelling in general. I should have read it earlier but I would be worse off if I had not read it at all. Better late than never.